India has seen massive globalization in the last few decades, particularly in the employment sector. A lot of multinational corporations set up base here, having branches in many big cities in the country, most notably Bangalore, Mumbai, Pune, Delhi, and Kolkata. But these are just to name a few. These MNCs conduct their global operations from the world over, including India, giving rise to employment opportunities for the residents. This also adds to the country’s collective revenue. Overall, international trade ties and globalization have been a welcome change in the Indian economy. Such an expansion naturally gives rise to competition, particularly with other economies. Countries like China and Indonesia provide cheaper labour as compared to India and other countries. Understandably, the competition is high for obtaining clients and offering the best services at the most reasonable prices without compromising on the quality, or dignity of labour. This compels Indian companies to focus more on their core services and operations. Concentrating on getting the job done well is the most important aspect, and hence, other non-core departments like HR and payroll may not be given sufficient attention. Outsourcing payroll gives companies a chance to better focus on their core operations. Many companies, especially small businesses, do not have a dedicated payroll department. Employees from other departments also perform payroll functions. This hampers productivity in the long run, as employees cannot give complete focus to one set of duties. There are two aspects to this. First being, managing payroll in-house has its set of expenses for upkeep and maintenance, just like every other department. Secondly, wrong payment of taxes attracts legal fines and penalties. Companies that don’t have a dedicated payroll team often find it difficult to keep up with changing laws and deadlines while handling other activities. This causes wrongful tax payment. A team of experts in the payroll domain take care of the payroll system. This makes it easier for the company to perform their business functions for expanding and growing. Besides, there is a certain feeling of assurance and security that the process of salary and tax payment is being managed by those who are into it for a long time and take care of exclusively those functions. Proper and timely payment of salaries retains a positive image of the company in employees’ eyes. When employees are assured that they will receive fair compensation and on time, it keeps their productivity high. Productive employees help the company achieve its business goals and succeed in the market against its competitors. There are a number of payroll service providing companies in India. If you shop around the market for a bit, you will realize how many options there are for outsourcing your payroll services to. However, just knowing about the tons of payroll service providers around isn’t enough. For choosing the right company, there are few things to remember. First, the company needs to define its requirements for payroll. Does it need HR services as well? Is it a mid-level or small business? How many employees does it have? How many of these are full-time employees, part timers, consultants and contractors? The next aspect to consider is the budget. This is very important, since the spectrum of payroll services is variable, and different companies provide different services for varied budgets. Only start shortlisting potential candidates once the budget is in place. Then comes the services part. Every company needs to find a payroll service provider that offers exactly what it needs. If the provider isn’t offering even one of the core payroll services that the company requires, then it’s always better to keep looking. 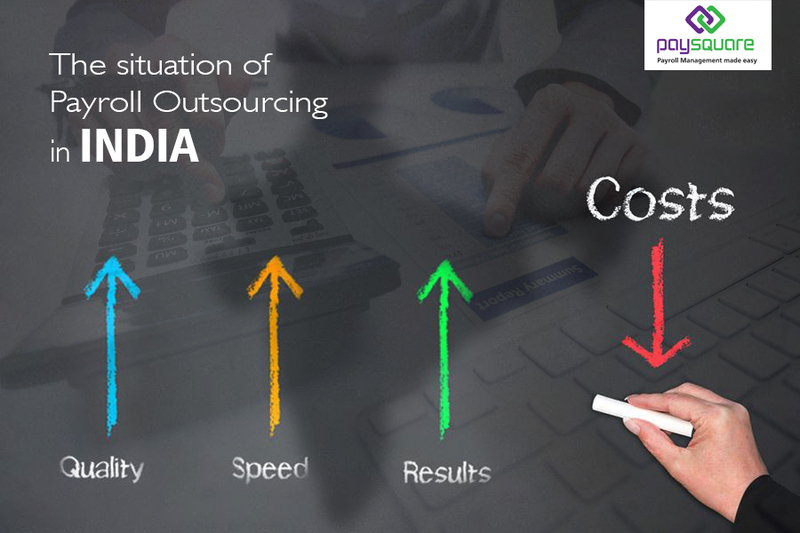 Currently, payroll outsourcing has started becoming a popular trend in India. A lot of companies are coming up, and everyone is competing globally to make a big name for themselves. Payroll, although not a core part of business operations, is an intrinsic and mandatory part of any corporate. There are tons of payroll service providers in India, so it is quite easy to find the perfect one for your needs.